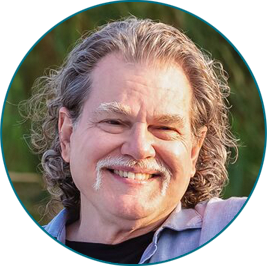 Home - Greensburg Therapist Greensburg Therapist | Ray Clark, Ph.D.
but learning how to navigate in stormy seas. Welcome to my psychology practice. I am dedicated to maintaining a safe, comfortable, respectful and compassionate environment for adults and couples. Using a collaborative approach, it’s my goal to help you achieve your therapeutic objectives. We’ll work together in addressing problems and worries in order to create solutions and/or ways of successful coping. Rather than a one-size-fits-all style of care, therapy is tailored to meet your needs. What should I do for my first visit? Making a decision to begin therapy is significant. Committing to a particular therapist during an initial phone call or during the first session can add additional stress to whatever you may be experiencing. It’s very important to ensure you are comfortable with our therapeutic relationship, and, feel I can help with achieving your desired results (i.e., treatment goals, indicators of improvement/success.) In order to lessen any sense of initial pressure or anxiety, I suggest meeting for a couple of appointments so you can experience what it’s like to work together. Most importantly, you can then decide whether I have something to offer which would be helpful and useful to you. Making a decision to begin therapy is significant. Committing to a particular therapist during an initial phone call or during the first session can add additional stress to whatever you may be experiencing. It’s very important to ensure you are comfortable with our therapeutic relationship and you feel I can help you achieve your desired results (i.e., treatment goals, indicators of improvement/success.) In order to lessen any sense of initial pressure or anxiety, I suggest meeting for a couple of sessions so you can experience what it’s like to work together. Most importantly, you can then decide whether I have something to offer which would be helpful and useful to you.